WDNR Bat Ecologist, David Redell, at Kemp’s bat station. 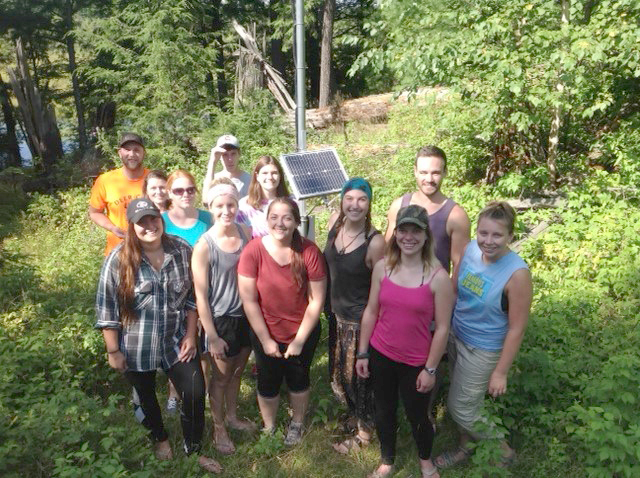 UW-Stevens Point mammalogy students analyze data captured by the monitoring station each year during their week-long field experience at Kemp Station. 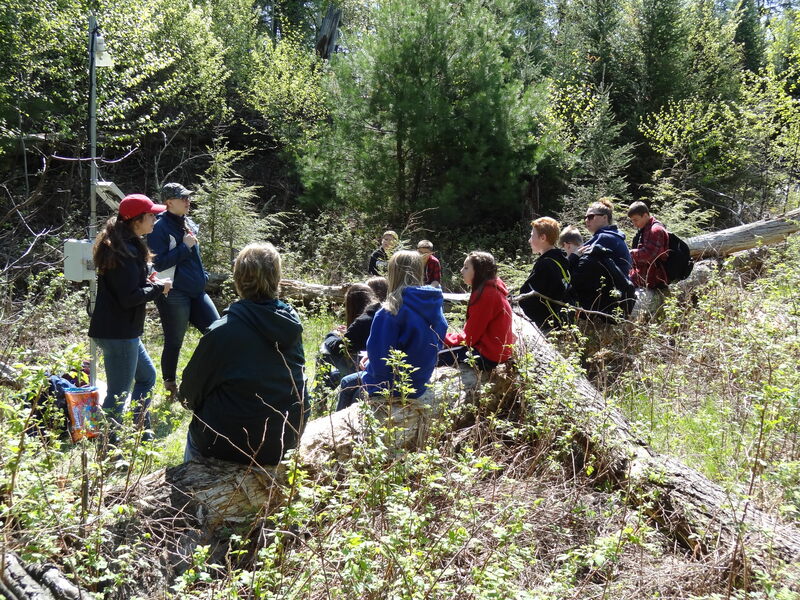 The bat station has served as an educational stop for local middle school students during the annual EcoTrek event at Kemp Station. 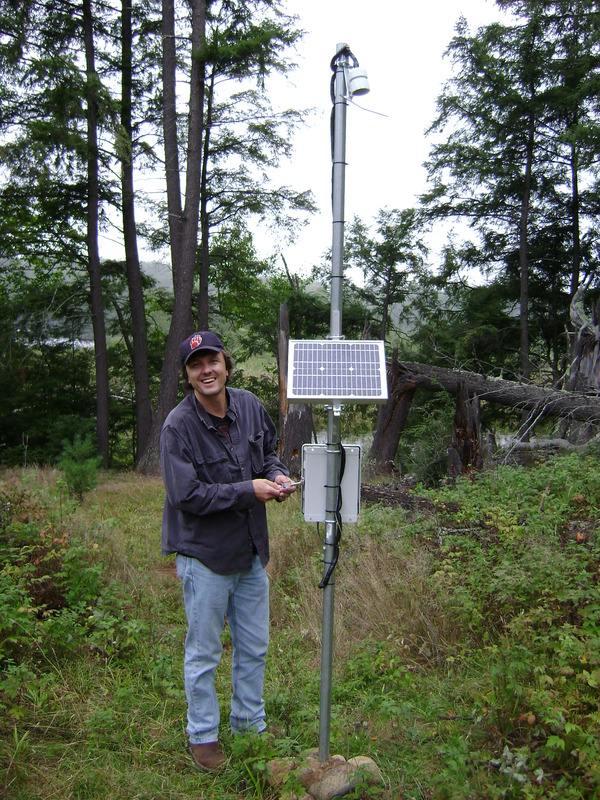 In 2007 WDNR Bat Ecologist, David Redell, and his colleague, Paul White, installed a bat monitoring station at Kemp Station. It is located near the lake, at the edge of an area known as “the blowdown,” a large forest clearing created by the 2000 windstorm. Housed in the monitoring station is an acoustic recording system capable of detecting the echolocation calls bats make as hunt for food. The bat monitoring station detects and records these acoustic signals as the bats fly by and records the date and time of each bat pass. Data is submitted to the WDNR each month. Read more….